The Ray-Ban RB4098 Jackie Ohh II is one of the most popular female frames Ray-Ban has to offer. 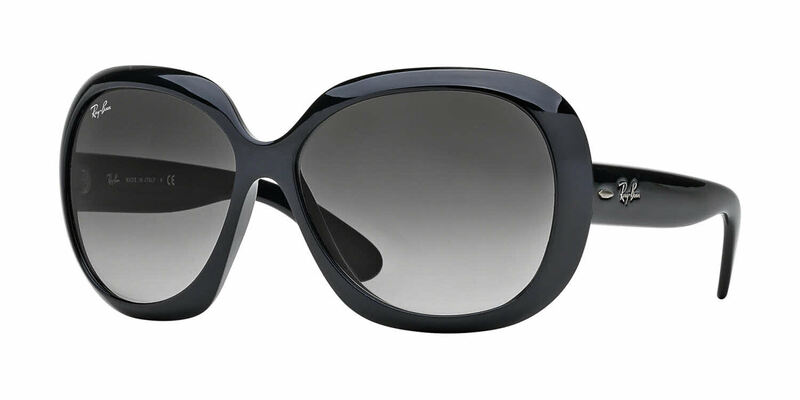 The modified cat eye shape showcase the look and style of Jackie Kennedy's 60s chic look. Bringing a nostalgic sense of style, with a modern twist. These Jackie Ohh II's are more rounded than the original creating a more over-sized and modern shape. An huge assortment of color options are available for the Ray-Ban RB4098 Jackie Ohh II, and with so many options it is easy to find that perfect pair for your taste. I like that these sunnies are big as they really cover my eyes from the sun. Great fashion piece too :) Good to note though that it leaves marks on the sides of my nose bridge which are really visible for about 10 mins or so. If not for that I'll give it 5 stars. I love these glasses, excellent quality, the green lens is very dark though, takes a bit of getting used too, the only issue I have with these is they make a strange indentation on either side of my nose, it doesn't hurt, but when I take the glasses off I have very red indented marks on my nose for a good 10 mins or so before it goes away, never had this before from any glasses. Therefore I find myself taking the glasses off 10-15 mins before I have to go to a meeting etc. so the red marks have time to go away. Love these glasses!!!!!!!!!!!! They fit my face perfectly. The price was reasonable. The color blends perfect with my hair and lipstick/gloss. Not what I expected. A bit on the dark side. Great sun glasses! Ray Ban's fantastic quality. I will say, they are not what I would call "cat eye" style in the least, but they are definitely Jackie O inspired. Nice dark lenses, not green. FramesDirect.com always ships fast. Very happy!